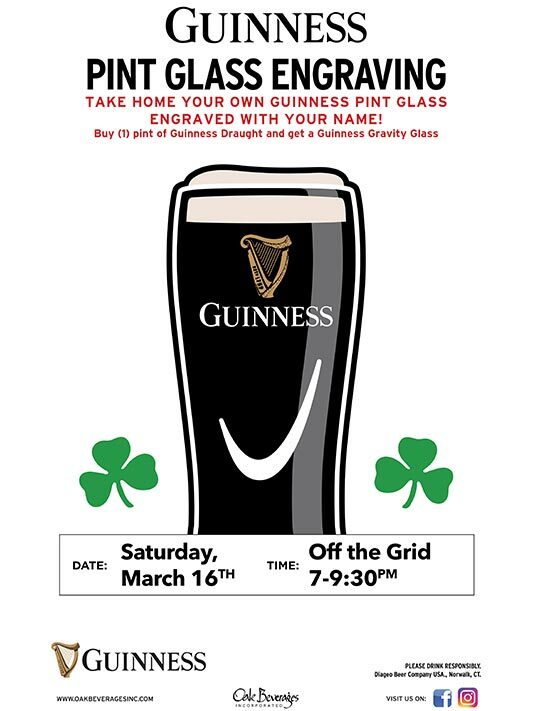 Off the Grid host Guinness Glass Engraving - Oak Beverages Inc.
Off the Grid host Guinness Glass Engraving, Saturday, March 16th, 7pm – 9:30pm. Buy “1” Pint of Guinness Draught and get a free personalized Guinness Gravity Glass! Posted in Drink Special, Featured Promo, Glass Engraving, St. Patrick's Day.